Tooling Solutions is a dynamic distributor of metal working tools supplying a wide range of carbide inserts, endmills, and drills and covering most metal cutting applications seen in the automotive, medical, aerospace, agricultural, and general engineering industries. We are authorized to distribute over 100 manufacturers giving our customers a unique and innovative variety of cutting tools for their metalworking applications, including turning, grooving, milling, hole-making, boring and threading. 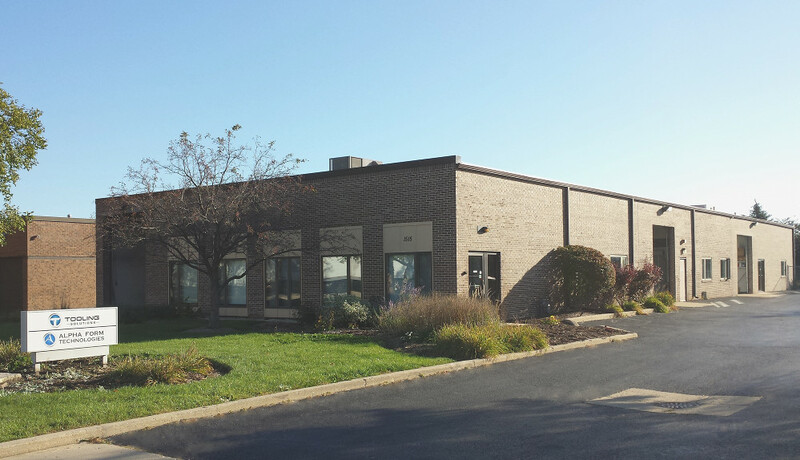 Founded in 1997 in Harwood Heights, IL, Tooling Solutions was co-founded by Glenn Burchett serving as Vice-President of Sales. In 2002, the company was purchased by Glenn and Amy Burchett. Faced with the growing need to supply customers with high performance specialty tools, Alpha Form Technologies was created to deliver a highly customized engineering solution specific to the customer’s application. Having both companies at the same location gives us control over the quality and delivery of the product and creates a unique selling opportunity over our competition. Our primary focus is to create partnerships with our customers and suppliers in order to optimize value added opportunities. Our goal is to make our customers more profitable by providing cost reducing solutions in the form of increased productivity, reduced cycle time, decreased machine downtime and elimination of waste. Our application and process improvement activities have clearly set us apart from our traditional distribution competitors. Tooling Solutions distinguishes itself from the competition by providing engineering solutions specific to the customer’s application. We believe in partnering with our customers and suppliers to offer the most cost effective method for our customers to manufacture their products. We take advantage of trainings offered by our suppliers to keep our staff up to date with the latest advancements in the industry, and we embrace technology to enhance our efficiency as an organization. Tooling Solutions offers tailor-made inventory management systems allowing customers to have inventory at their location. Via customized websites and/or vending machines, inventory is scanned out and invoiced when consumed. This offers a cost savings to the customer by eliminating the overhead of carrying inventory and avoiding expedited shipping charges. We have a strong vision to grow the company through a new hybrid distribution model that we’ve created that offers more engineering support for our customers. As an organization, we strongly feel that in this highly competitive global market, the more efficient we can make our customers, the more competitive they will be, and the more jobs that will be kept in the United States.